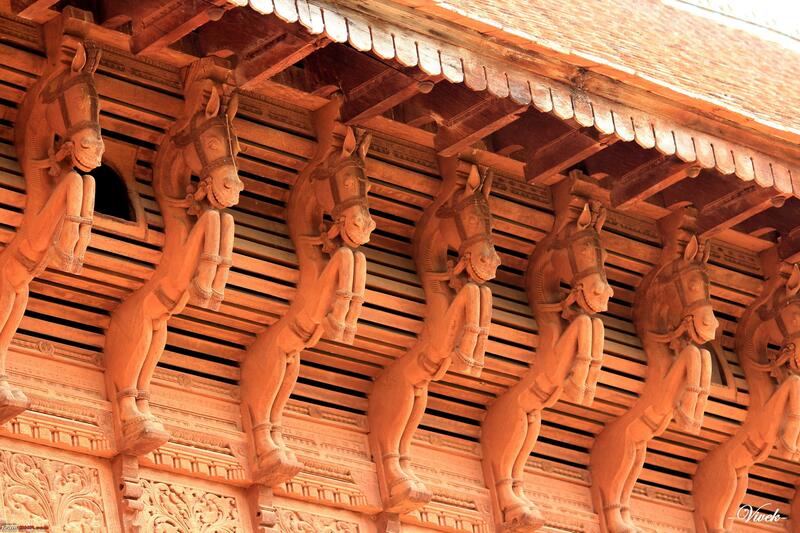 Tourism News Live is exploring the cultural and heritage monuments in the Kerala capital, Thiruvananthapuram. To start with, TNL sub-editor, Neeraja Sadanandan visits the much famous Padmanabhaswamy temple and the adjacent Kuthiramalika (Mansion of horses). Considered as a most important pilgrimage site in Kerala, the iconic Padmanabhaswamy temple in Thiruvananthapuram has been the prime attraction for the domestic tourists and devotees in and outside the state over the years. The temple hit headlines when the Supreme Court ordered a stocktaking of its inventory of wealth in 2010, and tourist inflow to the temple has steadily been rising ever since the treasures were discovered. The increase in the flow of pilgrims to Padmanabhaswamy temple pushed up footfalls in Thiruvananthapuram city to 12.17 lakhs in 2017 showing a growth of 18.63 per cent over 2016. Padmanabhaswamy temple finds its first mention in texts of 5th century BC, according to available records the present day temple was erected sometimes in 15th century. Padmanabhaswamy, the residing deity of the temple is supposed to be an incarnation of Lord Vishnu. Gold is offered at this temple by devotees who come to pray for prosperity. It is believed that you will get many times more the wealth contributed at the temple. No wonder then that the temple is presently the richest temple in the world! When one of the secret vaults was opened in 2011 treasures estimated at Rs 1 lakh crore were found. There are six chambers – later coded A to F – under the sanctum sanctorum of the temple. Of these, two are usually opened during the daily pooja and two twice a year and remaining two (A and B) are secret vaults. Besides jewels, precious stones, necklaces, golden crowns and pots were also included in the list of inventory. A purity-testing machine was used to chart all metals according to its period and purity. The second secret chamber ‘B’ is yet to be opened and officials claim it might contain even more wealth. Only Hindus are permitted inside the temple and, there is also a very strict dress code that needs to be followed while entering the temple. Men need to wear dhoti (worn around the waist and going down up to the heels) and should not wear shirts of any kind. Women need to wear sari, set-mundu (traditional Kerala wear), skirt and blouse, or half sari. Nowadays temple authorities allow wearing of dhotis over pants or churidar to avoid inconvenience to the devotees. Dhotis are available for rent at the temple entrance. There’s also a counter to keep your footwear, as they are not allowed inside the temple. The temple will open for morning puja at 3.30 am in the morning, and the devotees can enter the temple till 4.30 am. The next time for entrance is at 6.30, which will end at 7 am for the regular devotees. The sanctum sanctorum will be open exclusively for the family of the erstwhile rulers of Thiruvananthapuram. The temple then reopens at 10.30 am, where devotees can experience the darshan, and will be closed by 12 noon. The evening puja will start at 5 pm and entry will be closed by 7.20 pm. The most recommended time to visit the temple is in the morning. The devotees need to stand in a queue for a minimum time of 30 minutes on regular days. Parking will not be allowed at the premises of the main entrance. The private vehicles are parked on the sides of the nearby temple pond. No photography or videography is allowed inside the temple. Also, no metal and electronic objects, like key chains, keys, mobile etc are also not allowed inside the temple. There’s a separate cloak room before the entrance of the temple where you can keep your belongings. Once you are done with the morning darshan at Padmanabhaswamy temple, you have a variety of vegetarian restaurants nearby. Most of the restaurants will serve you traditional Kerala breakfast that includes dosa (crispy pancakes), sambar (vegetable curry) and tea. When you are visiting Padmanabhaswamy temple, the adjacent Kuthiramalika Palace museum, is a place you should never miss. Kuthiramalika Palace Museum or Puthenmalika Palace Museum, a pristine two-storied palace located right outside the Sree Padmanabhaswamy Temple, was built by Swathi Thirunal Balarama Varma, who was Maharaja of the Kingdom of Travancore in British India in 1840s. The construction of the palace was completed by 5000 Vishwabrahmins in four years. The palace gets its name from the 122 horses that are carved into the wooden wall brackets that support the southern roof. The palace forms part of a vast complex of royal buildings in the vicinity of Padmanabhaswamy Temple. The building was left unoccupied for more than a century, following the demise of Swathi Thirunal in 1846. The Kuthiramalika palace contains 80 rooms, of which only 20 are open for visitors. A portion of Kuthiramalika has been converted to a Palace Museum that houses some of the assets owned by the Travancore Royal Family. The palace museum is a great example of the Kerala school of architecture and is made from teakwood, rosewood, marble, and granite. The museum houses idols and sculptures made from white marble, Kathakali figures, Belgian mirrors and paintings and a musical tree which produces 8 sounds on tapping. The palace also has on display two royal thrones, one made from 24 elephant tusks and the other of Bohemian crystal with the Tranvancore emblem ‘conch’ adorning the top of the backrest. It also has a large collection of idols and sculptures made from white marble. On the first floor are rooms that once served as the audience chamber, the library and an alcove that Swathi Thirunal used for meditating and for conceiving many of his famous musical compositions. One can have a direct view of the Padmanabhaswamy temple gopuram from here. Another interesting piece in the palace is the illusion portrait of Sree Chithira Thirunal Balarama Varma, painted by Svetoslav Roerich. The face and the shoes of the king appear facing the onlooker from every corner of the room. The courtyard of Kuthiramalika is the venue for Swathi Sangeethotsavam, a yearly music festival commemorating the legacy of Swathi Thirunal. This music festival is conducted from 6 to 12 January every year, which attracts many of the leading stalwarts of Carnatic and Hindustani classical music. The concert venue built in the palace premises uses traditional sound reflectors comprising fifty clay pots hung upside down from the ceiling. 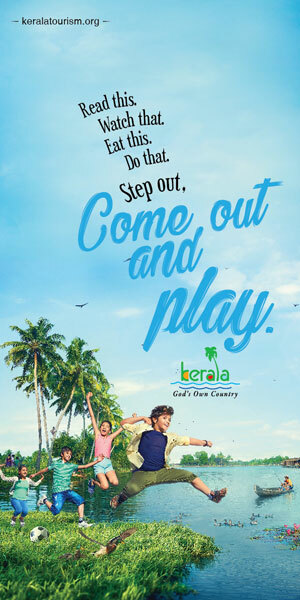 Entry Fee: Rs 20 for children and Rs 50 for adults. Foreigners have to pay Rs 150 as entry fee. Camera is allowed inside the palace, if you pay Rs 20 at the counter outside. You can book the tickets between 9 am and 12.30 pm and 2 pm to 4.45 pm from the counter outside the palace. You also need to keep your footwear outside before entering the palace. The floor inside the palace is made of egg whites, charcoal, and limestone, which make it cold and smooth even in hot weather conditions. Walking barefoot on the palace floors will give you a different experience. The palace will remain closed on Mondays. Adjacent to the Palace museum, is the Sree Uthradom Tirunal Marthanda Varma Chithralayam, a museum that offers a time-travel through the last two hundred years of Travancore. Conceived by late Sree Uthradom Thirunal Marthanda Varma, the museum provides the public an authentic perspective on the history, tradition and culture of Travancore. A multimedia presentation of the pictures is available on request from the visitors. On request, they would also be provided with an iPod, which would give them details regarding the artifacts on display. The museum is open from 10 am to 5 pm in the evening. On Wednesdays, the entry time will be between 1 pm and 5 pm. The Chitralayam will remain closed on Mondays. Tickets are available from the counter between 10 am and 4.30 pm. Children between the age group of 5 and 12 will be charged Rs 10 and those who are above 12 years of age, will be charged Rs 20. Foreigners will have to pay Rs 150 to enter the Chitralayam. The nearest airport is just 5 kms away and the railway station and state-run bus stand are just a kilometre away. There will be regular buses and other public transport options like taxis and tuk tuks to reach East Fort, where the main entrance to the Padmanabhaswamy temple and the nearby attractions is located. There are many small hotels and lodges near the temple premises and near the city area, if you are looking for a budget accommodation. Rangamalika, Hotel Safari, Appollo Dimora, Padmavilasam Palace, Classic Sarovar Portico, Hotel Chaithram, Hycinth by Sparsa are some of the other options available nearby.